Harry Sullivan | Randomwhoness: a Doctor Who blog by Johnny Spandrell. Sampling stories in random order. I am interested, though, in what they don’t like about it. There are those who say, “it’s so cheap” (that this is still an accusation after a decade on well funded, new series episodes says something about the potency of that tag). There are those who say, “it’s too camp”. And there are those who say, “it’s too weird. I just don’t get it”. These last lot seem to me to be the most entrenched in their views; there’s something too far out about the program which just makes it innately unappealing to them. They’ll never get it. It’s not for them. It’s their fish. Let’s call them the Doubters. 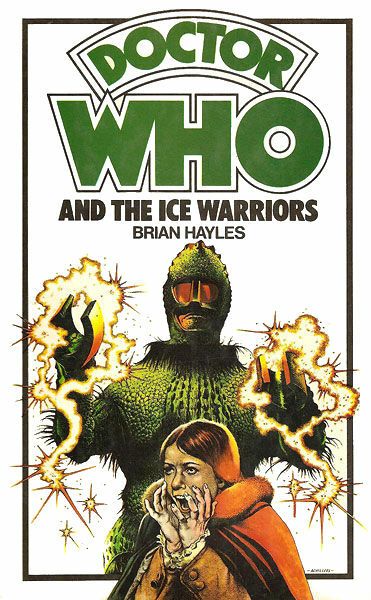 Consider now, the random clutch of stories I’ve been watching, all of which come from Doctor Who’s mid 70s heyday. Last random, Planet of the Spiders. NEXT TIME… Horror of Fang Rock. And this entry, The Ark in Space. All stories which are well regarded by fans, and each which have created memorable imagery, which cause them to linger in the public consciousness. The one with the spiders, the one in the lighthouse and the one with the bubble wrap monster. Watched from a fan perspective, they are better than average fare. But watched from a Doubter’s perspective, I fear they are irretrievably duff. Those plasticky spiders and the tacky green screen effects. Is that a tennis ball climbing up that model lighthouse? And c’mon – that monster really is made of bubble wrap! This makes me recall recent statements by showrunner Steven Moffat and Doctor Peter Capaldi, that the show somehow inspires creativity amongst its viewers. I think they are right, and surely the mother of creativity is imagination. I don’t want to say that the Doubters among us lack imagination. 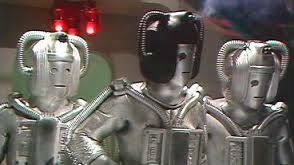 But I’d say that to enjoy a Doctor Who story like The Ark in Space requires the viewer to use their imagination. It takes a certain type of viewing, I think. One that enables the viewer to transcend the tacky elements on screen. Doubters see an actor unconvincingly writhing with his hand encased in a bubble wrap glove, snarling hammy lines like, “the Ark is ours! It must be ours!” Those who buy in see the terrifying concept behind it, a man losing control of his body to an alien infection. The Ark in Space marks a point in the series’ history where those underlying concepts became more confronting. In Planet of the Spiders, only two stories previous to this, but made by a different production team, the villainous spiders wrapped up their human victims in cotton wool cocoons to store in the pantry for future snacking. In The Ark in Space, the insectoid Wirrn go a good deal further. It lays its eggs in your sleeping body, and when those eggs hatch, the larvae eat you from the inside out. It’s next level gruesome. We even see it happen, or at least the start of it. Crew Member Lycett (John Gregg) is taken alive by a Wirrn grub. Again, it’s stagey and unconvincing. Lycett has to conveniently slip to allow the grub (Stuart Fell, caterpillaring across the studio floor in bubbly sleeping bag) to pinion him against the wall. But once you start imagining it, and thinking about the implications – eggs hatching, eating you from the inside – suddenly poor old Lycett’s fate seems far more real. The bubble wrap monsters have become our shorthand symbol of The Ark in Space‘s ability to transcend its low budget production values. But let’s face it: the whole thing’s pretty tacky. Yes, the sets are nice (although why access to the transmat bed in the control room has to be by climbing over an enormous control panel has always left me scratching my head). But the video effects are rudimentary, the Ark itself sits unsteadily on a CSO backdrop and the Wirrn totter precariously, spindly static arms sprouting out of Mr Hanky style bodies. None of this should work. But it does because of the quality of this story’s ideas. 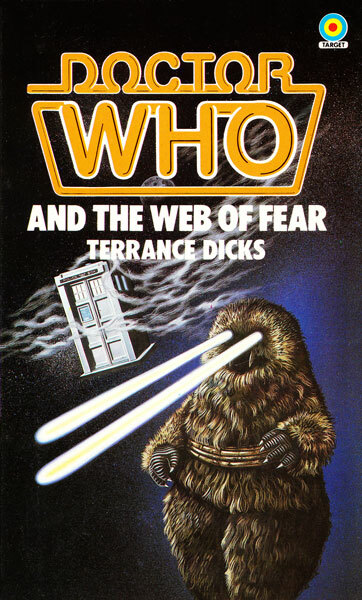 It’s those ideas which inspired Russell T Davies and Steven Moffat; this is a favourite story for both. No doubt because it offers many examples where those big, bubble wrap transcending moments, where the human impact of events becomes piercingly clear. My favourite is the moment when Noah (Kenton Moore), on his way to full Wirrndom, forgets which human he is. He’s succumbs to confusion while trying to give an order, and Vira (Wendy Williams) asks if it’s something about Dune, the crew member first ‘digested’ by the Wirrn. A look of sudden calm comes over Noah as he says, “But I’m here! I am Dune.” And the assembled group of onlookers are stunned, realizing something awful has happened to this man’s mind. Ages ago, when talking about The Aztecs, I suggested that Doctor Who fans watch the show in a way which is inherently forgiving. 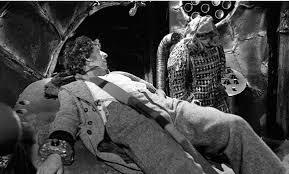 And we might pause here to remember the recently randomed The Ark which I think involves an even greater level of forgiveness, be it for the rubbery Monoids, the dodgy acting or the lazy expediency that results in a security kitchen. Both of the show’s arks in space offer big ideas on a tiny budget. But only the later story offers a plot strong enough to fire the imagination. There’s no “I am Dune” moment in the earlier story. You forgive The Ark, but you buy in to The Ark in Space. It’s also a story which celebrates the human spirit. In an almost sentimental way, which is very unlike the usually gloomy outlook of writer and script editor Robert Holmes. 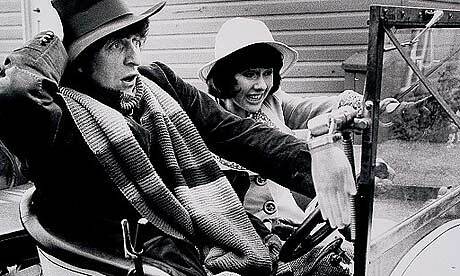 Early on, the Doctor (an early Tom Baker) offers his awestruck appreciation of humanity’s indomitability. By the time we get to Part Four, it’s not the Doctor, but Noah, now almost all Wirrn, who saves the day by luring his fellow monsters into a rocket (who knows how they got up the entry ladder) and blowing them up. His last line, a simple “Goodbye Vira” to the woman he was to be “pair bonded to for the new world”. Indomitable indeed. It’s a thing of beauty. And it’s just for us. Don’t bother showing it to a Doubter. It won’t convince them. Which is just fine. The Ark is ours. It must be ours. LINK TO Planet of the Spiders. Sarah Jane against the insect bad guys. You’ve got to hand it to those piggy rhinoey aliens the Kraals, they’re planners. Their invasion of Earth which involves using doppelgänger androids – an Android Invasion if you will – is not something they’ve rushed into. First they capture an British spaceship, hanging about the outer solar system. Because Britain has a space program, you know. Then they brainwash the pilot. Then they built a replica of a small English town and its nearby space defence station, populate it with android replicas and use it as a training ground. Because you train androids, right? Not program them. Only when they’re absolutely certain that they can pull this performance off convincingly, do they catch a lift back to Earth on the same space ship and start to infiltrate the defence station. And all this to do what? Release a deadly virus (copyright Terry Nation), which presumably could have been released some easier way, by say, firing plague laden missiles at the planet (also copyright Terry Nation). Anyway. Let’s not make fun of the plot of The Android Invasion. It’s been done many times before and it’s too easy. Instead, let’s talk Letts. Barry Letts, of course. One of Doctor Who‘s longest serving and most highly regarded producers. But we shouldn’t forget, also one of its most reliable and unsung directors. The Android Invasion is peppered with understated directorial flair. Letts is not one to allow a idiosyncratic style to show through in his direction, unlike say Douglas Camfield or Graeme Harper, but nonetheless his episodes have plenty of interesting moments. There are the lovely scenes in Part One where Sarah is discovered hiding in a pub full of androids; the vision mixer switches from close up to close up of unsettlingly impassive faces. There’s the famous cliffhanger to Part Two, where Sarah’s android’s face falls off with startling ease; edited with less precision it could have been laughable. And the scenes inside the Kraals’ dungeon like HQ are textbook stuff. We see the torturing of the Doctor on chief rhino Styggron’s operating table through the unflinching downward stare of a raised camera. A tide of nasty swirling lights washes over him while an whining pulsing sound comes at him like a dentist’s drill. Nasty stuff. But these are moments, not the whole show. Lots of the rest of the story is shot with the workaday style of someone with a producer’s eye on time and money. Letts doesn’t try to spice up a scene of two people talking in a office, or two space rhinos discussing risk management strategies. It seems that he knows when to flex his directorial muscles and when to concentrate on getting the show in the can. Letts seemed a fairly unassuming fellow in his post Who interviews, rarely allowing any self praise. This modesty has hidden that he was arguably the best director the Pertwee years ever had. 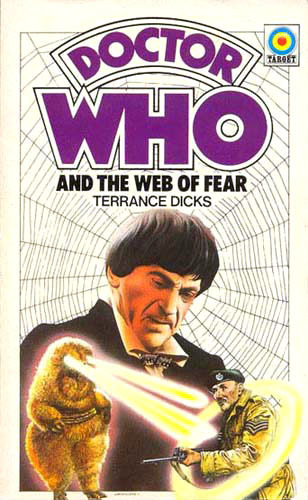 Two of the stories he directed – Terror of the Autons and Carnival of Monsters are among the very best of that era, and while a third Planet of the Spiders becomes flabby and self indulgent, its opening episode is pleasingly creepy. Add to this that he also directed much of the studio work for Inferno, and it really does seem that Letts was behind most of that era’s high points. And of course recently and miraculously, we’ve had Letts’ first go at directing Who, The Enemy of the World, returned to us. Again it’s a mix of outstanding direction (mainly on film) and run of the mill (mainly in the studio), but when it’s good it’s brilliant. Those action sequences in Episode 1, complete with hovercraft and helicopter – hardware Letts would return to in Planet of the Spiders – are the series’ best location work up to that point. Then there’s the Doctor facing off with his evil lookalike in Episode 6 – an experimenting with camera trickery which Letts uses again in The Android Invasion. 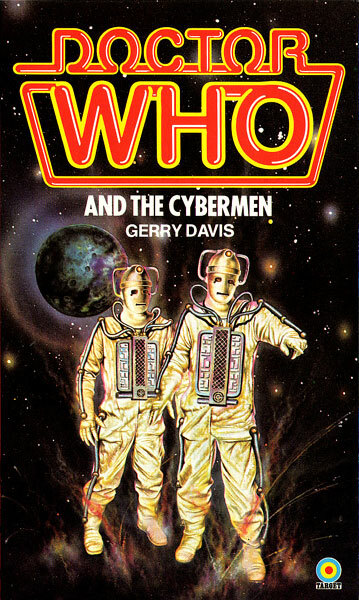 Letts was a frequent contributor to the Doctor Who DVD range, in on camera interviews and on commentary tracks. His calm, pleasant, grandfatherly tones became familiar to regular watchers, modestly and accurately pointing out what he thought worked and what didn’t. 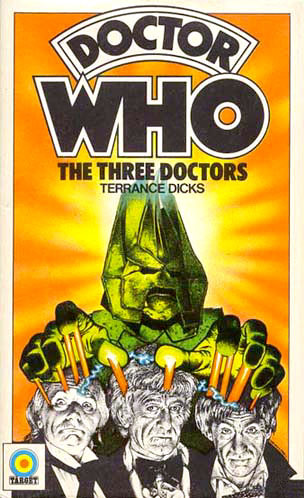 He was a mainstay of any Pertwee release. But then on one DVD (I forget which one) Letts was back again but shockingly different. Bald and drawn, he was clearly unwell. Over the next few releases, depending on when the interview had been recorded, he turned up in various stages of health or sickness. We watched as this man, who we’d come to know only through his willingness to talk about Doctor Who for us, get more and more ill. He’s not on the commentary track for The Android Invasion, released three years after his death in 2009. And the saddest aspect of the otherwise glorious return of The Enemy of the World, is that he isn’t here to see it again. That’s a commentary track it would have been great to hear. It would have been a fitting tribute to the only man who could justifiably claim to be Doctor Who‘s greatest multi-tasker: writer, producer, executive producer, novelist and director, Barry Letts. 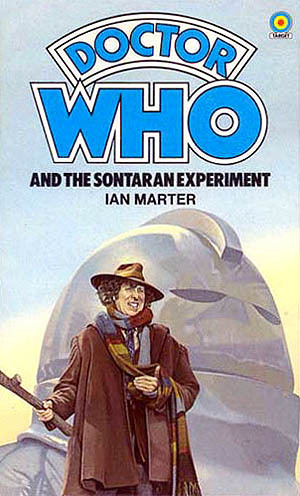 If only he had indulged himself and taken an acting role in the series (a Hitchcockian cameo in The Android Invasion, poking his head out of a Kraal’s travelling seed pod, would have done nicely), his reputation as Doctor Who’s auteur would have been complete. LINK to The Beast Below: Each features a UK built spaceship and each features mechanical goons. NEXT TIME: Don’t worry, I’m quite the screamer. And there’s a bit of it about in The Impossible Astronaut/Day of the Moon.